It's Make A Scene's weekly newsletter featuring the biggest, best and queerest news from last week and our helpful recommendations from the week ahead! It's gayer than Jo Rowling pretends Dumbledore is! RuPaul is filming a pilot for a new daytime chat show with the producers of The Ellen Show! Tongue pop! San Diego Comic Con sees new footage, trailer, sonic screwdriver and panel with new Thirteenth Doctor Jodie Whittaker! Brilliant! Gorgeous, talented trans actress Trace Lysette (the star of Transparent who stood up to the gross, grabber Jeffrey Tambor and got him sacked from the show) to star in new indie LA-set drama Colors of Ava. Put your support behind this new Will and Grace lego set! The CW is adding a lesbian Batwoman show to go alongside their progressive DC TV universe! Huzzah! It: Chapter 2 will feature the gay couple from the book...but will it end in their bloody death at the hands of Pennywise? Two new documentaries about trans community get featured at Outfest Film Festival including Disclosure - Laverne Cox's documentary about the depiction of trans lives on screen - and Man Made which follows the lives of five trans men who compete in bodybuilding competitions. And finally here's a new trailer for the Freddie Mercury biopic Bohemian Rhapsody! If you like film stars who can't sing desperately trying to segway into pop songs that weren't designed to be squeezed into a musical in Mamma Mia 1 then boy oh boy are you in for a treat with Mamma Mia 2 which is literally called Mamma Mia: Here We Go Again...you can almost here the sigh that went into that subtitle! This time we're back on the nameless Greek island of the first film to be treated to all of those songs not in the original like...erm...The Visitors? The Day We Before You Came? Erm...well...one thing we do know is Andy Garcia has been cast as a hotel owner called Fernando and Cher will be getting off a boat in a Lady Gaga outfit and cane to sing the one remaining unused good ABBA song full volume at him. I imagine he's going to be a deaf hotel owner too so she can sing "Can you hear the drums Fernando?" ...and it's driven Cher to release a whole album of ABBA covers so I guess that's one thing good that's come out of it. I shall be saving it to watch with a glass of Blossom Hill rose blush wine and a lovely big box of chokkies with my gal pals when I fall, bang my head and get a totally new personality sometime in the near future. It's our film of the week because let's face it we're going to have to all take our mums to go and see it to keep them quiet. "Chicken Tikka tell me what's wrong?" Of course...The Incredibles 2 is out and you could just go and see that or Pin Cushion. 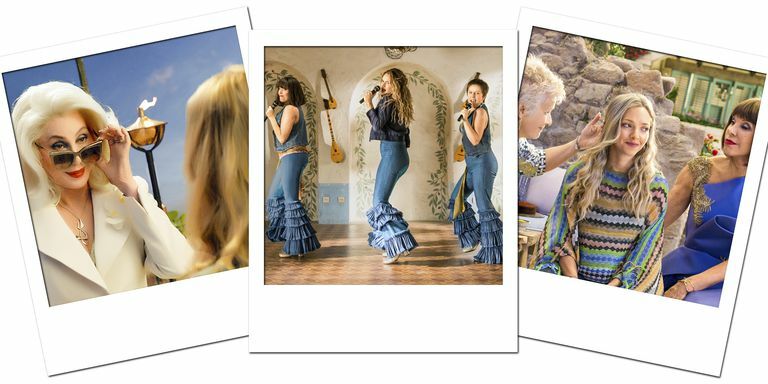 Mamma Mia: Here We Go Again is out in cinemas NOW! 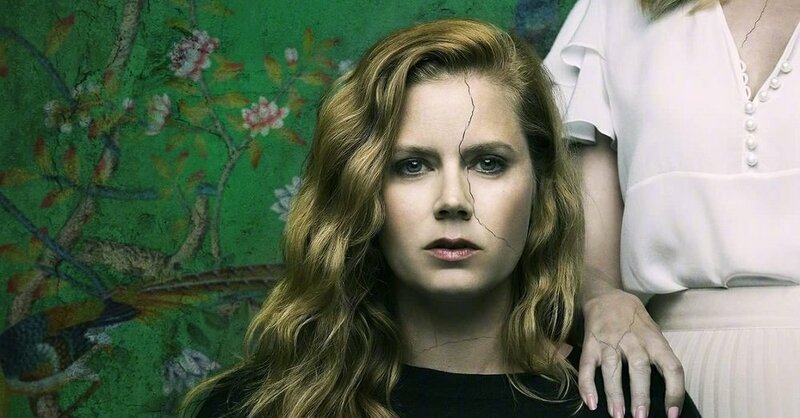 Have you been watching Sharp Objects starring Amy Adams on Sky Atlantic? Based on the book by the writer of Gone Girl it's a dark mystery thriller letting Amy play a TV role of lifetime. It's on our Sky Box waiting to be watched and we can't wait. It's only up to episode 2 and is getting rave reviews and continues in the line of new female led HBO TV series started with Reece Witherspoon/Nicole Kidman vehicle Big Little Lies...in fact it's from the same director. YES!! Grace Oni Smith as The Grand High Witch! Need we say more? We're creating a proper pulling-out-the-stops immersive screening of The Witches for Roald Dahl Day. Bring your nephews and nieces for the 2.30pm kids friendly showing (age 6+) and bring grandma and granddad too or...just come to the evening 18+ standard Make A Scene showing. There'll be a cast of local drag talent as The Witches, afternoon tea themed cocktail and food, potion laced chocolate, exploding witches and Z Arts will be dressed to look like the hotel from the film with a real RSPCC witchy meeting! Sounds good, doesn't it? All this for the usual Make A Scene price! Get your ticket, witches! Put that date in your diary! We're gonna carry on watching Pose together at Tribeca...with the groundbreaking Episodes 5 & 6 on Wednesday 25th July. These episode have been directed by Janet Mock...the first ever trans woman of colour to direct a TV show EVER! Crazy! Episode 6 is supposed to be the best episode in the series so catch up and come watch these episode with us ahead of the finale Episodes 7 & 8 on Sunday 12th August where we'll be having a huge BALL like we did for episodes 1 & 2! There'll be lots to celebrate as Pose has just been renewed for season 2! On 25th July we'll be focusing on the music on the ballroom scene and we'll also be showing the first episode of modern ballroom documentary series My House to show how the scene has moved on since Pose days. Joshua Hubbard will be back to whip you into shape and demo more vogue moves for you and The Niallist will be talking vogue music. We'll be collecting again for Mermaids charity. We've made about £100 for different causes across our last two shows so thanks for chucking money in the buckets.